Sherry vinegar is made from sherry wine, which is produced in the Jerez (Xérès or Sherry) denomination of origin in south­western Spain. The unusual thing about the vinegar (and the wine) is that it’s blended and aged using a special solera system. Imagine a pyramid of wooden barrels, each one containing vinegar. The bottom row of barrels (the solera level) holds the oldest vinegar; the top row holds the youngest. When the solera vinegar is ready for bottling, only a third of the vinegar from each barrel is drained and bottled, and then the void is filled with younger vinegar from the next row up, which is then replenished from the third row up, and so on. In this fashion, the younger vinegar picks up the characteristics of the older vinegar: complex, harmonious, deep, rich, nutty, slightly sweet, and very sharp. Look for sherry vinegar in gourmet shops and high-end supermarkets, as well as some large chain supermarkets. As this vinegar becomes more popular, it should begin to show up in smaller chain and independent markets. If you don’t see it, ask the store manager about carrying it. 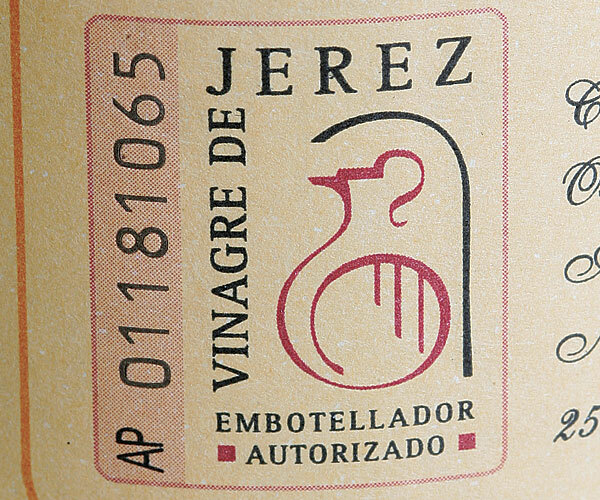 When buying sherry vinegar, look on the label for the symbol shown to verify that the vinegar was produced by registered bodegas (cellars) in the Jerez denomination of origin. 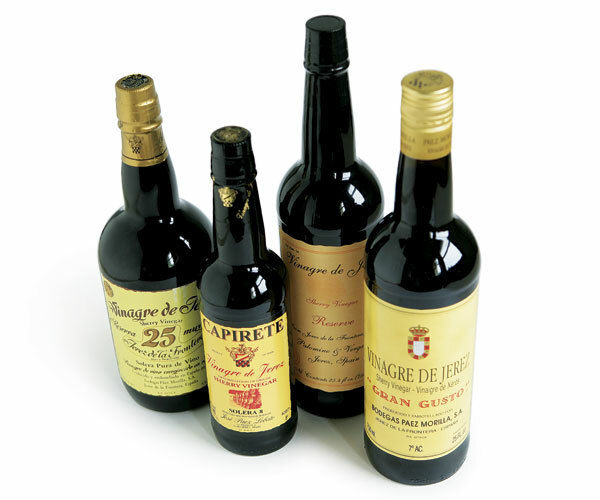 There are two types of sherry vinegar: vinagre de Jerez, which is aged at least six months, and vinagre de Jerez reserva, which must be aged for at least two years but is often aged much longer, sometimes as many as 30 years. Use sherry vinegar as you would any other wine vinegar. Add a splash to sautéed vegetables, soups (particularly gazpacho), stews, and sauces to brighten them and give them that certain something. 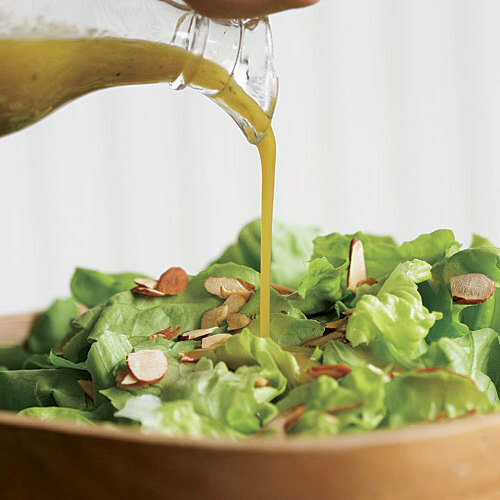 Use it in a marinade or vinaigrette (like the one below), try it in a homemade mayonnaise, or turn it into a brine for pickling vegetables.